Powerful voice and a perfect pitch are some of the things that have made Lea Salonga known all over the world. She is both a very successful actress and a successful singer who has many songs and movies to her credit. With many awards to her name, Lea has been acting since she was only seven years old when she played a role in The King and I. Here is all to know about her. The actress was born María Lea Carmen Imutan Salonga on February 22, 1971, in Manila, Philippines. She was raised alongside Gerard Salonga who is her brother by their parents, Feliciano Genuino Salonga and María Ligaya Alcantara. In 1988, she released her second album, Lea and another in 1993, Lea Salonga. I’d Like to Teach The World to Sing (1997) was her next before going on to release 7 more albums that were all successful. Her first popular stage role came in 1980 when she played Annie in the eponymous play, “Annie.” The next year she was in “The Bad Seed” and then “The Paper Moon” before going on to act in a number of others including the Broadway “Miss Saigon” that got her the Tony Award for Best Actress in a Musical, Drama Desk Award for Outstanding Actress in a Musical, and the Theatre World Award. Beyond the stage, Lea has also had a lot to her credit as a film actress, acting in close to 40 movies. Among her popular works are “Tropang Bulilit” which was her first in 1981, “Captain Barbell” (1986), “Aladdin” (1992) for which she did the voice acting for the songs of Princess Jasmine. In 1995 and 2010, she played Éponine and Fantine in “Les Misérables” on Broadway, making her the first ever Asian to play such role. Among the many awards she has to show for all her works are BroadwayWorld.com Award for Best Leading Actress in a Musical for “Allegiance,” Laurence Olivier Award for Best Actress in a Musical for “Miss Saigon,” and Tony Award for Best Actress in a Musical for the same work, making her the first Asian woman to receive the award. 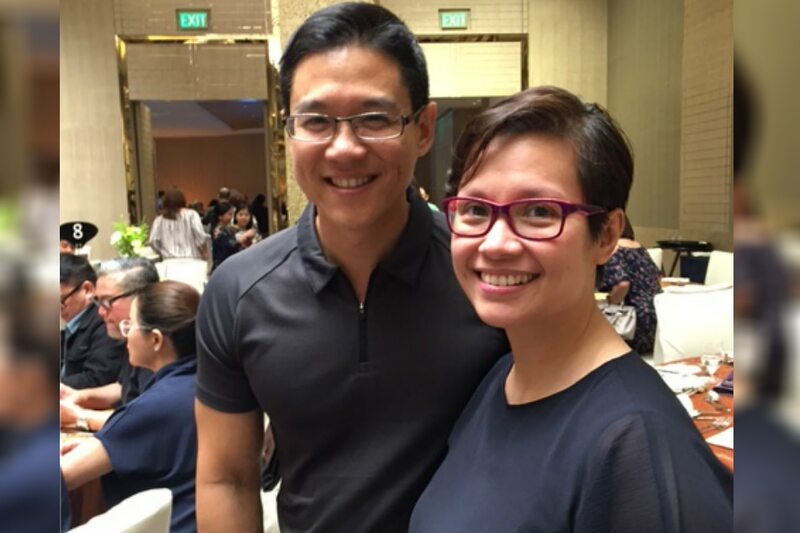 Lea Salonga has been married since 2004 to Robert Charles Chien. The singer met the man who later became her husband and immediately got hooked to each other thanks to the singular passion they share for music. They were introduced by a mutual friend, Christine, who also happened to be Robert’s cousin. On their first official date, they found themselves singing in the car together and soon started a romance that led to a good ending. In 2002, Chien proposed to Lea and she accepted. A year and a half into their engagement, the couple tied the knot in 2004 at the Cathedral of Our Lady of the Angels in LA. A Chinese-Japanese, Robert Charles Chien works with an entertainment software company in California as a managing director. The couple now shares a daughter, Nicole Beverly Chien who was born two years after her parents got married. Her brother, Gerard Salonga is also into music. He is an orchestra conductor who also appeared in Lea’s first album, Small Voice. Salonga’s father was a naval Rear admiral who owned a shipping company. Because of this, she grew up in different places including Angeles City and Manila. Thanks to her descent and that of her husband, their daughter is of Chinese, Japanese, Hawaiian, Filipino and American descent. With a global market that has seen her selling more than 19 million copies of her albums, the singer is one of the bestselling artists of all time from the Philippine. More so, she is the first Philippine-based singer to ever get an album release and distribution deal in the US. A very hard working and talented person who has worked as a singer and actress among other things, Lea Salonga has a net worth that has been estimated at $18 million. Named one of the 50 Most Beautiful People by People magazine in 1991, she has a height of ‎5 feet 2 inch and a body weight of ‎54 kg.